So before we go to the episode, I just want to address what we're actually doing here. This series of blog posts will serve as a countdown to the premier of the Power Rangers movie due out on March 24th, 2017. We're only going to 23, because the movie is technically available for viewing to most on the 23rd. As there is a ridiculous number of Power Rangers episodes, this list merely comprises episodes that fellow fans sent in as their favorites, and some of my own. Taking those, I graded them from 23 to 1, and each day I will post a short review on each one until we get to the film. Enjoy, and feel free to leave a comment either agreeing with me or calling me out for my idiotic opinions! MIGHTY MORPHIN POWER RANGERS EPISODE 1: "Day of the Dumpster"
Why is the episode one of the best? I think few people who grew up in the 90s exist in the world today that haven't seen this episode in some form or fashion. It is the progenitor of the Power Rangers phenomenon as we know it. It's simple, it's fun, it has likable characters, and it all comes served with a side of cheese. 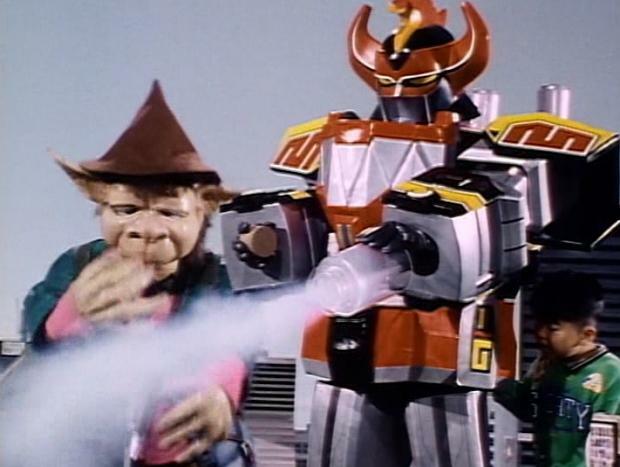 Power Rangers, by its very definition, should not work. It involves gathering two very disparate groups of footage, cutting them together, and praying that the end result is something approaching worthy. 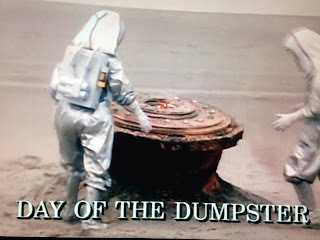 Day of the Dumpster showed the world that not only could this show work, but it could be an icon of the era. Why is this episode not higher up on the list? The 90s was a great time for television. It was not however, a great time for television production value. Kids are rather spoiled nowadays with the technology that goes into making television. Power Rangers, for all its good points, was filmed on VHS tapes, and production has and always will be more rushed than one would hope. The first couple of episodes of this season had some really weird, if still impressive, displays of martial arts. They were still figuring out how to do this show, and so Day of the Dumpster doesn't really have anything in the way of impressive set pieces. Really all we get from the first episode is the characters' archetypes. Nothing really beyond that. How does this episode possibly influence the new movie? While this is pretty obvious, the new movie will take a lot of its cues from Day of the Dumpster. It will do things extremely differently, but from all the trailers we have, the bullet points are all the same, as they are for most seasons of Power Rangers. Aliens (or otherwise) attack the Earth, mentor calls upon our heroes to save the world, some are unsure, some are all for it. They get their powers, they start saving people. NOTE: PRE-SALE TICKETS ARE AVAILABLE FOR THE POWER RANGERS MOVIE! Head to Fandango and check your local listings! Tickets are available for regular sale as of March 6th!